Summer is just around the corner which means getting more time in the sun with friends. 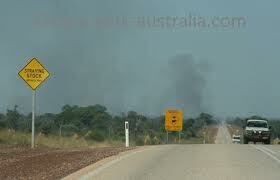 However, the hot weather can also create road hazards such as a bushfire. If your planning to take a road trip this summer or you just want to be prepared for any emergencies you may encounter whilst driving then you need to know what to do if your driving in a bushfire affected area. First of all before you travel anywhere this summer make sure you listen to ABC Radio or your local radio station so that your aware of any fires that are burning near your destination. If you are driving in a high risk bushfire area and a Code Red is forecast then the best option is either to leave the night before or early the next day. 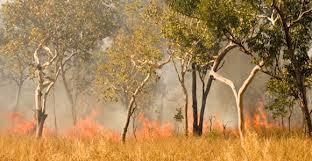 Having said that, don’t leave if there are already signs of a bushfire in the area your in. This is because the thick, dark smoke will make it hard for you to see while driving. There is also a danger of falling tress and power lines which could leave you trapped in the path of a fire. These tips will ensure that your protected from the radiant heat of the bushfire which is the biggest killer in a fire. The best way to protect yourself from the radiant heat is by keeping your distance. Have fun and keep safe this summer by being aware of the dangers that a bushfire can cause motorists on the road and the steps you need to take to avoid these dangers. 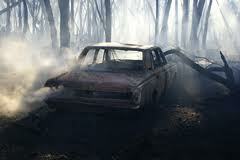 If you want more information about bushfire safety then check out this link from Tourism Victoria. Thanks Stuart! I think your right about the high likelihood of bush fires this summer, hopefully there will be more awareness out there about how to protect yourself from the affects of a bush fire. More government campaigns and community groups dedicated to keeping people informed could go a long way in keeping people safe this summer.